Texting My Pancreas: How Do You Infomate? Here is what he sent me, and I'm hoping you can provide some insight in the comments section below for my friend. Thank you in advance, all! Kim... How do you keep up? And how do you know that the information you're getting is the best available? We kicked this around when my wife was diagnosed several years ago. Her doctor read up on all of the material in 1976 or 1978 or whenever he went through school. He's since kept up with various journals and seminars and so on, but there is a lot of room for stuff to fall through the cracks. His assistant went to school in 1987 or 1988. When she learned it all, it all had changed. She also goes back for seminars and she reads a couple of the journals, but again, there is a lot of room for stuff to get by her. We went to a series of classes and workshops at the local hospital, learning how to cook and eat and exercise and what to watch out for and so on. Okay, fine. But there were at least three or four times when our doctor told us one thing, his assistant told us another, and the hospital crew said something different. Alan Rubin's "Diabetes for Dummies" is in its third edition. My wife had a copy of the 1st. I recently got the new one, and we can't talk about it because we disagree on what it says. It's like you talk to one person, or read one book, and they say, "always eat six grapes" and then you come upon a book or see something on the Scary Health Channel that says "Never eat more than four grapes". Next week, Oprah's got a guest on saying the best treatment is a diet full of grapes. Or eggs. Or bacon. Or orange juice. Or popcorn. Or whatever. How do you evaluate the little pieces of news that show up in your face every week? A reporter was once surprised to find Warren Buffett didn't have a ticker-tape machine in his office. Buffett explained that he couldn't deal with that much information. If the tape said Coke just moved at $52 a share, what then? Should he buy more, or should he sell? Whoah! Now it's up to $53 per share! What does THAT mean? Should he buy more, or should he sell what he's already got? Now it's down to $50 a share. Damnit! Why didn't he sell when it was $53? Hey, maybe it'll go back to $54 or $60? Maybe he should buy more? Or maybe just hang on to what he has.... Buffett does much better reading daily and weekly newspapers, rather than trying to drink from the firehose of the internet. So how do you decide what to believe, in diabetes news? It's a lot of work but like anything else, medicine is always changing. Sometimes, it reminds me of politics or religion with one guy saying one thing and another saying the exact opposite. In the end, I know that it'll be a while (if ever) before they figure out how the human body REALLY works. So really, there are no hard and fast rules anywhere (minus the we need insulin to function, I think). I try to trust what I can reason and explain (with all the biology/engineering classes I've taken). But for people without lots of biology experience, Tudiabetes, DLife, and Diaboogle are two good resources of cutting through some of the garbage. In terms of diets, there will always be some sort of fad (low carb, paleo, etc). I just try to eat relatively healthy (lots of veggies/fruits, protein, and water). Other than lots of testing/tweaking insulin, there really isn't much else. For myself, I avoid exposure to the latest diabetes news, because much of the latest news has not yet been fully 'digested' by the medical community - studies need to be assessed and often compared with other studies before they really become patient information. The -core- of advice for T2s -- eat sensibly, limit refined carbs, get some exercise -- doesn't change much or often. I do try to keep up a bit on changes in prescription medications, devices, etc, but it's crazy-making to try to absorb all the 'advice'. Enhancing my exercise program would be a hundred times more valuable to my health than all the miniscule tweaks to diet that folks want to sell me. This is the problem of information overload in specific application to us diabetics. So, how to apply the generic wisdom to our particular niche? Skim Wide and filter, Study Deep, Consult Trusted Experts. Skim Wide means you overview a lot. You set up Google news for a few terms- "diabetic", "diabetes", "Type1", "Type II", etc. They're all different feeds. But you just skim that stuff, and you filter out everything that's not here-now; rat studies, future products, etc - they're not going to help you now. Study Deep means when you do find an inquiry that's worth your limited time/attention, you drill down (wiki, journals) etc. Consult Trusted Experts means when you get that body of knowledge from the drill-down, and you'll have a lot of questions, you take the story and your questions to a trusted expert - because you need their expertise and insight. Could be your doctor, could be a dietician, could be an endocrinologist. If you don't have a trusted expert, you really do need to find somebody you can bounce things off. An informed person, not Google. 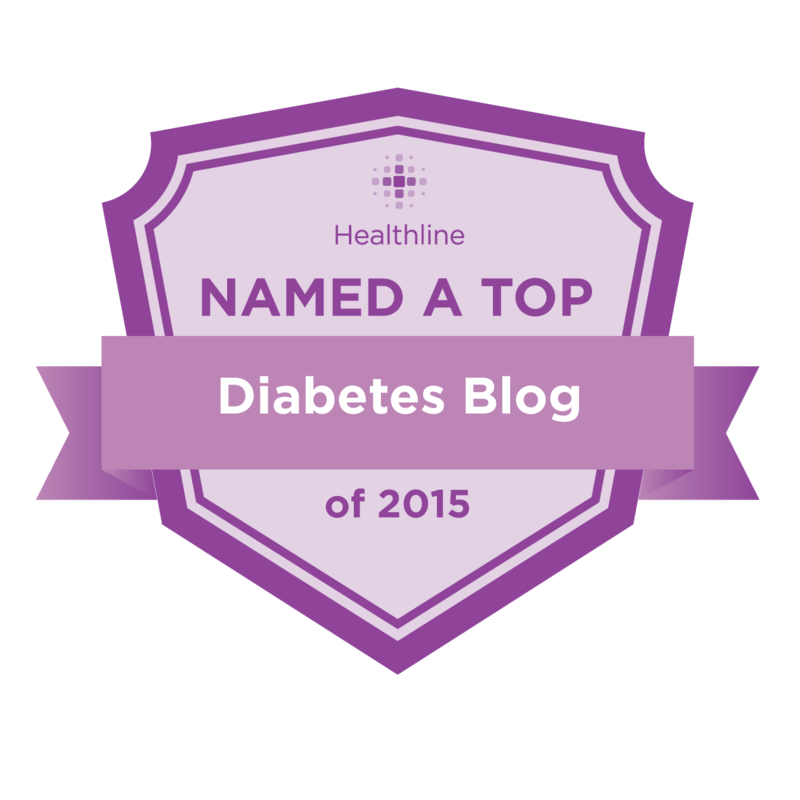 Questions about how to handle info as far as a spouse with a different variation of diabetes? Holy Cow, Batman! That's out of my league. And in my own experience, the best thing I can do for my Type2 diabetes is ride my bike. That's what works for me. I hope you find what works for you. Well, there's NEWS, and there's ADVICE... (there's a third category, ANNOUNCEMENTS, which I'll discuss later). News is something that's nice to know (like Dr. Faustman's presentation at a recent conference). 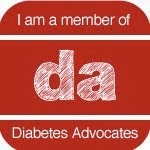 News is when a celebrity with diabetes is conducting an awareness and/or fundraising campaign. But news doesn't alter a thing when it comes to my day-to-day diabetes living. When it comes to the number of grapes to eat, that's ADVICE. I may experiment, either in full or in part, and my meter will tell me if it's true - or better said, if it applies to me - or not. But as a general rule, the more sensational it reads, the less true it is. If it's from someone who has something to gain by your taking advice, dismiss it. If it comes from a fellow PWD, it's worth consideration. ANNOUNCEMENTS are matter-of-fact statements about the release, discontinuation, or recall of products which are often dispersed by the manufacturer. For instance: discontinuation of the Freestyle Navigator in the US, introduction of a new pen needle. Unless your product is being discontinued. When released by a reputable company, it can be believed, though doctors should always advise when making significant regimin changes (disclaimer). But they are not guidelines. Great post, Kim. I try to take it all in stride, and not get so caught up in any one piece or type of information so that I lose sight of the bigger picture. Kind of like with blood testing and CGMing - having access to that info is great, but it's about using it in the right way and not getting bogged down by the amount of it. Lots of good ideas in the above posts. I have only one thing to add. And that is, eat to your meter. This is especially important for prediabetics and Type 2's. Your meter will tell you whether you need to exercise portion control, or whether a certain food is just not worth the spike it gives you. However, that means a lot of strips, especially in the beginning, and many insurances don't cover adequate strips for Type 2's. In the beginning, you may have to test every half hour to find out when your individual peak is, and you may have to do that every couple of years, because it can change. If your insurance limits strips, then you can test infrequently, and then save up enough strips to test intensively after a particularly favorite meal, so that you know exactly what it does to you. Given enough time, you can build up a repertory of meals that you know exactly what they will do to you. And lastly, the best known way for a Type 2 to get BG down is to go for a walk after a meal. Exercise really DOES work to lower BGs, and in the end, it's worth it. Great question. I had a coworker ask me how to help her mom who she thinks is not taking care of her Type 2 diabetes like the daughter thinks she should. I talked to her about how it is pretty overwhelming to think of changing your whole life at once. We talked about taking it one meal or event at a time. As far as keeping track of everything in the news? I hardly pay attention to it anymore. The story hasn't changed for years. I don't read stuff on research, etc. I am T2, I'm on insulin, I know carbs make my BG go up. For me, end of story. It's my choice whether I eat lots of carbs and deal with the consequences or watch what I eat and live a longer, healthier, life. As for as number of carbs, what kind, etc. Let your BG be your guide. To me it's that simple, and that complicated at the same time.